Although organic search results are still the most efficient way of sorting through the huge amount of data that’s sprawled across the internet, social media platforms offer several things that Google rankings and search engine optimisation, although powerful, never do alone. It’s an easy way to get in front of your target audience. Facebook advertising has come on leaps and bounds in the last year or so, and has become a very powerful tool in how specific you can be in targeting your ideal visitor. Instagram has evolved hugely too and is extremely effective in creating an audience that genuinely wants to see new content from you and to engage with you about it. If you don’t have time to invest in running social media accounts, don’t give up, get someone like us to help you until it’s off the ground. Instantly responding to a comment or query is something you simply can’t do with a website to the same degree. Yes there are commenting systems you can use, but they aren’t always read by visitors, and can be clunky and slow to use. Through social media you get the chance to have a real conversation with your target audience. SEO is undeniably effective, but it takes a while to gain enough momentum to rank highly, but social media accounts can be set up very quickly and then you can get your business in front of people without having to wait for rankings which might never come. Having people following your page or account advertises their association with you to their peers. Seeing the occasional update or article from you keeps you fresh in their mind. Having a lot of individual followers or likes adds instant credibility to your business for a newcomer. Social media doesn’t have to be about quick gains, it can be for the long term too. Social media accounts which rank for local search terms are becoming particularly effective for local businesses and tradesmen. You get the standard credibility for ranking highly, but you also show as much more personable for having a social account so readily available, and it’s an easy way to see reviews quickly and get in touch. Of course, social media accounts do take some time to build and maintain, and then more time if you want to really engage with your audience and make them incredibly effective. If you know you should be doing it but don’t have the time we might be able to help or offer some advice. 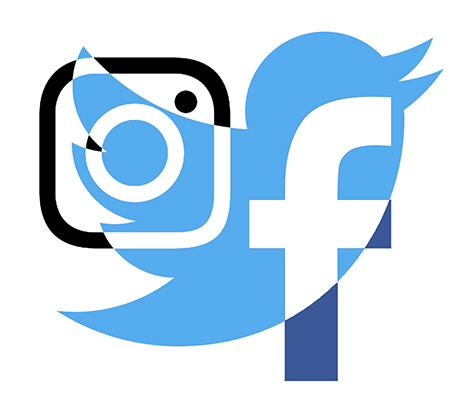 Take a look at our Social Media Management page for some more information. Great to see you blogging and great artical. Look forward to seeing some more! !